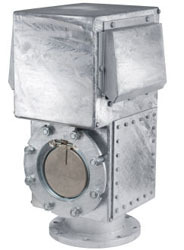 For more than 40 years, John Gjerde AS, has designed, manufactured and marketed hiqh quality tank venting equipment for the shipbuilding industry. Meeting customer needs for tank venting equipment, has been the objective at John Gjerde AS, ever since the company was founded. The company continues to fulfill its commitments towards the shipbuilding industry; making sure the equipment create the highest levels of safety for tank venting, and thereby for ships and their crew. Great emphasis is placed on supplying a fully documented product. We have our own test facillities for dip testing, water tightness testing, flow characteristics for both air and water etc. John Gjerde AS is recently awarded with the Certificate of Qualification (JQS System) for suppliers to the Oil Industry in Norway and Denmark. 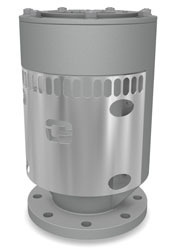 Tank Vent Check Valves (air vent heads) in stainless steel, steel hot dipped galvanized and aluminum. Steel strainers for mud, seawater and fuel for pressures up to 65 bar. 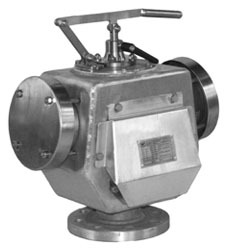 Valves can be delivered with heating systems for ICE Class vessels/ floating constructions.